One of New Zealand's leading arts and social documentary-makers, Shirley Horrocks, is seen in the editing suite of her Auckland offices in 2007. Behind her is a photograph of artist John Reynolds, the subject of her 2007 film Questions for Mr Reynolds. 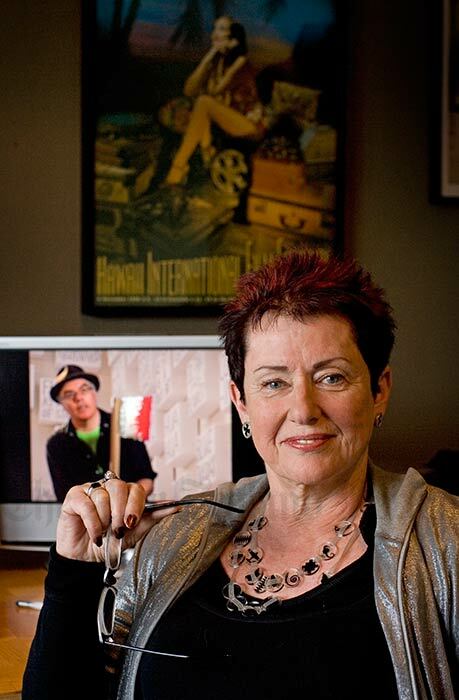 Other documentaries made by her company, Point of View Productions, include Flip and two twisters (1995), Kiwiana (1996) and The comics show (2007).